With the recent inclement weather, you can check out frequencies for your local radio station to find out if your school or college is closed or open following the recent snowfall. During snow, schools and colleges may be shut for the day or have to close early for reasons of health and safety, or because staff cannot safely get to their work. Armed with the correct frequency, you can tune in to local traffic, travel and weather conditions via your local BBC or independent radio station in your car or before you leave. You can listen on FM or DAB to many local stations, which will read out lists of schools and colleges that will be closed in your local area. Typically in Wales, Northern Ireland and Scotland (which have large BBC stations covering these regions), your local commercial station is the best place to find out this information on the radio, where it's easier for smaller, local stations to read out shorter lists of closures. Tune in from 6.30-7.00am to hear the latest information. Check out our clickable maps and areas, or if you want some quick links to stations in Wales, Northern Ireland, West Midlands, East Midlands, Northern Home Counties, London, East Anglia and Essex, Surrey, Sussex and Kent, you can also click on the links to get there quicker. Please take care when using the roads in snowy and icy weather, and please ensure you turn on your car lights for early morning trips and before dusk. 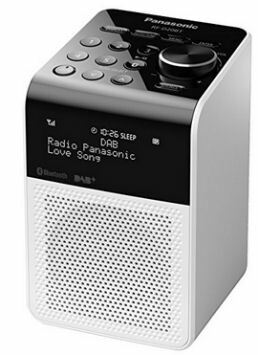 To receive DAB digital radio services, you need a newer type of radio which can pick up both DAB and DAB+ digital broadcasts over the airwaves through its built-in aerial, to make sure you've a future-proofed way of listening to digital radio. We've links to good models on our pages, or scroll down the page for some quick links to both DAB and DAB+, and internet radio, receivers.